If there is one thing the holidays are synonymous with for me, it is food. Thanksgiving and Christmas are loaded down with opportunities to get in the kitchen and share good food and treats with family and friends. This holiday season, why not step your cooking/baking came up a notch and prep for the holidays with some new GE appliances available at Best Buy. 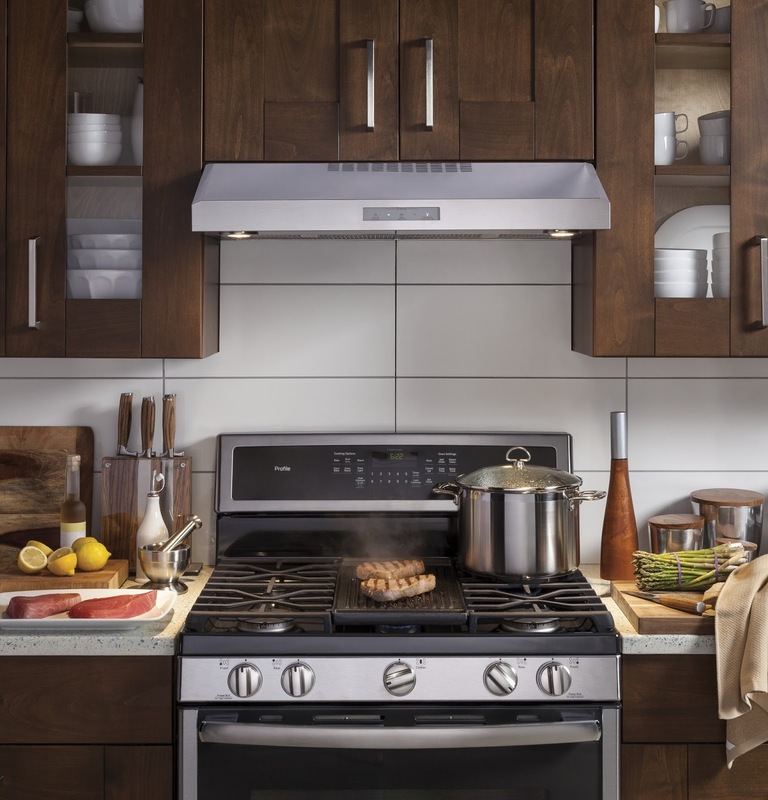 There is no better time to check off that remodeling wish list and stock your kitchen with the latest in modern appliances from GE. 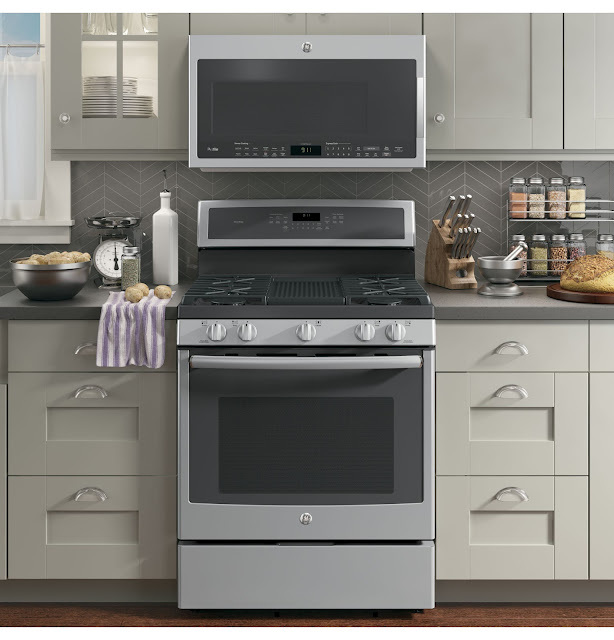 The GE Profile Series of appliances is designed to reflect a modern style with clean lines and a streamlined look that fits in perfect with today's kitchens. I know that in my home, our stove could definitely use a face lift. The fridge and other appliances are fairly new, but who knows how old our stove is. 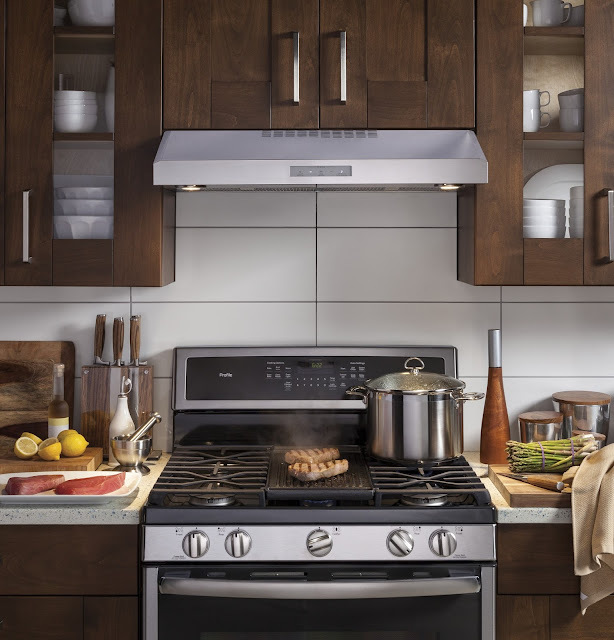 The GE Profile Gas Range with its edge-to-edge cooktop gives you more room to work with, allowing you to move pots and pans around more easily. With a built in extra large cast iron grill/griddle holiday breakfasts have never been easier. You can cook up to size grilled cheese sandwiches on the griddle at one time! I would easily be able to finish Christmas morning pancakes for the family on a griddle of that size. Want to give your fridge the ultimate makeover? Why not combine the convenience of brewing the perfect cup of coffee right in the door of your refrigerator? 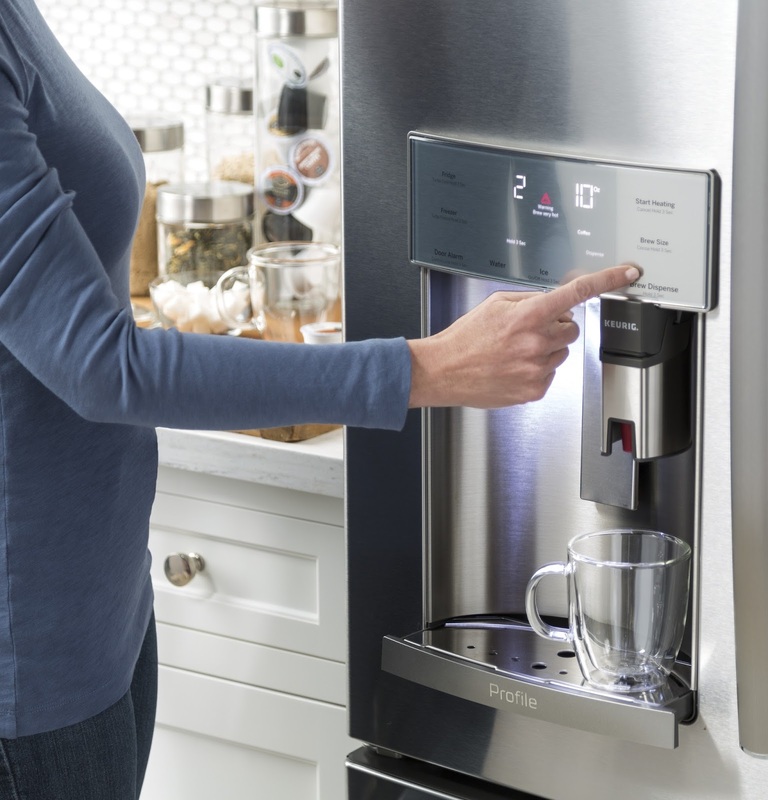 The GE Keurig Kcup French Door Refrigerator offers you just that along with all of the ample space and other amazing features you have come to expect from GE appliances. Now is the best time to save on GE appliances at Best Buy. Right now you can save up to $1.200 on GE appliance packages. Visit the Best Buy Prep for the Holidays page for full details and to see more information on the latest GE appliances available in stores.